Tonight was the reception for the Tri Valley Conservancy Paint Out at Studio 7 Arts in Pleasanton. It is always a marathon of sorts for the artists who challenge themselves to paint within a certain area for a short amount of time. Access to the actual private painting venues began a week ago when we were invited to paint on land in the Tri Valley that is to remain protected from development. I set up my French easel on the edge of an olive grove on the Crohare property Olivina in Livermore on Saturday and was surprised by a docile horse that was willing to stay relatively still for me to sketch while he grazed. 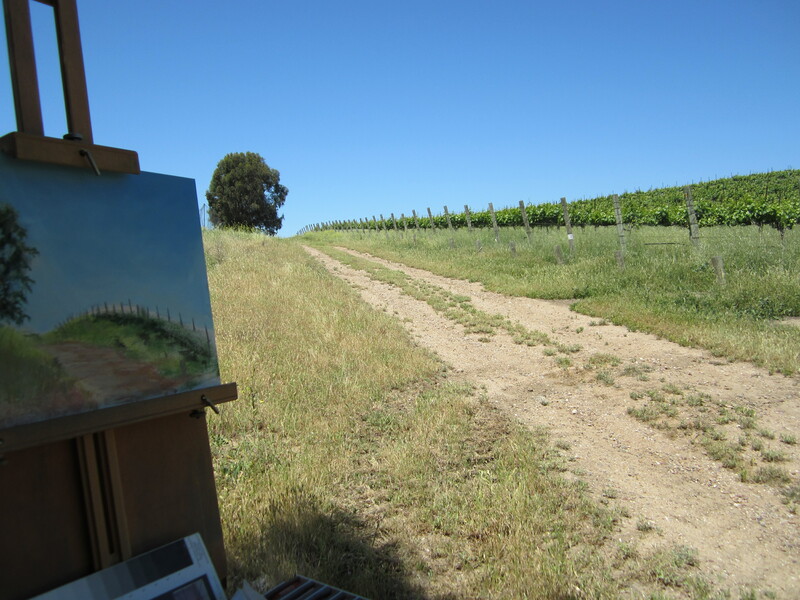 Later, on Monday I was inspired by the scene of a road that led to the Sun Hill Vineyard which had a sycamore tree at the crest of the hill that was flanked by the vineyard. I was immediately drawn to the scene which had a strong composition with a the dirt road as a right lead into the picture. Later in the studio I completed the paintings, framed them, and submitted them to Studio 7 Arts for the show which is on display this weekend. It is always interesting to see what other artists paint. Of course, the reception included some wine from the Livermore Valley. Bryan Mark Taylor was the judge of the show. 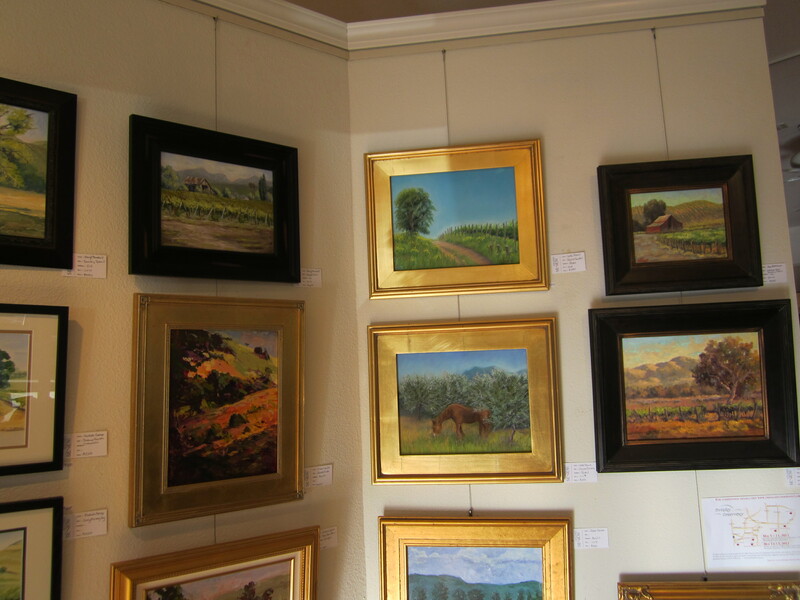 Although I didn’t take home an award, I am pleased with my paintings that were started and finished within the week. It is a challenge.